With Arctic Monkeys, Klaxons and more all celebrating anniversaries this year, Getintothis’ Adam Chapman goes back to 2007 and looks again at some classic indie records. We all have those moments that make us feel old, don’t we? Seeing how your favourite character from a TV show has changed by the 7th binge watched season or how nowadays you actually enjoy going to bed early sometimes. For myself however this existential crisis moment came in a different form. The other day upon doing my usual rounds of the various social media sites I noticed a post flash up on my news feed. The first thing I thought was a series of words that I wouldn’t use in front of my Grandma. No way has it already been 10 years since that album was released, No way has it been 10 years since I dug out my old portable CD player and headed to HMV because I couldn’t wait to get home to listen to it. Some would say it was a simpler time…they would be wrong. Sure, Twitter was only just gaining traction, it was pre-recession and Gordon Brown was still Prime Minister but 2007 was musically a very complicated year. There were some bands that aimed to refine the tried and true methods of the mid 2000’s and some, that like the priest and the beast from The Mighty Boosh, were searching for the new sound. This got me thinking about notable albums that came out in 2007 and how they stack up today. So with the 20/20 vision of hindsight I decided to revisit a few. Men’s Needs, Women’s Needs Whatever is the third studio album by the Jarman brothers, twins Gary (Bass, Vocals) and Ryan (Guitar, Vocals) and their younger brother Ross (drums) or as they’re more affectionately known, The Cribs. Released on the 21st of May 2007, the album was met with praise from critics and fans alike and reached 17th in the UK charts. The songs were more polished than their previous works; the band had refined their sound earning a few album of the year nods most notably ending up 9th in NME’s albums of the year 2007. So what makes this album so much different from their previous two The Cribs (2004) and The New Fellas (2005)? This album signified the evolution of The Cribs, their raw and ready roots heard in their first two records weren’t forgotten, they were merely adapting to the changing climate of the UK alternative music scene. 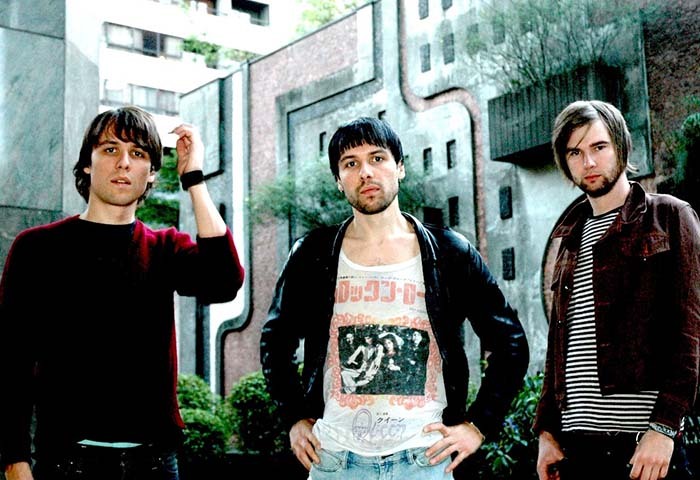 They had been signed to Warner Bros for the world and stuck with Wichita Records for the UK upon the band’s request, as they had been heavily involved in The Cribs initial rise. The third album saw the band jet off to The Warehouse Studio in Vancouver Canada and work with Alex Kapranos of Franz Ferdinand fame who would go onto produce the album. The new slightly more mainstream and radio friendly sound gave the band their biggest hit to date Men’s Needs. From the first riff, you knew 10 years later you would still have it swirling around your head, a certified game changer and always a go to for any DJ looking to hype the Indie Cindy’s in alternative clubs across the country. 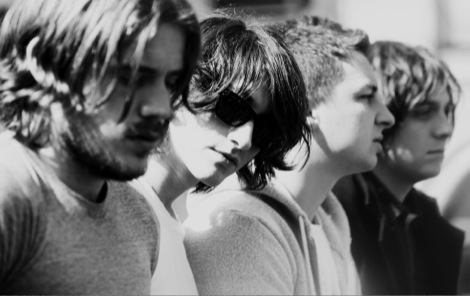 One of the innovators of the internet music scene, Arctic Monkeys rise to the top has become prolific. With the fastest selling debut album by a band in the UK, Whatever People Say I am, That’s what I’m Not (2006) propelled Arctic Monkeys into the public eye. As with most bands after such initial success, the difficult second album was looming, however the lads from Sheffield took this in their stride. Oozing confidence and the sarcastic social commentary that resonated from the first album, the first single Brianstorm was released a week before the eventual arrival of Favourite Worst Nightmare that quickly climbed to number 1 in the UK charts. In a 2007 interview with NME, The lead singer, Alex Turner described this album as ‘Very different from last time’ with the tracks drawing more influence from their thrasher, spiteful tracks from the first album, View From The Afternoon and From The Ritz To The Rubble to name a few. A follow up single Teddy Picker bagged the band NME’s music video of the year at the 2008 NME awards. It’s stripped down, back to basics approach featured the band recording the track at RAK Studios in London and showcased them in a relatable light without losing their nonchalant rock star attitude. However something about this album gives the impression of a frustrated heartbreak. Tracks such as Only One Who Knows, Do Me A Favour and 505, are almost pleading to someone for acceptance from unrequited love. The album still to this day holds its value, where so many more have fallen into obscurity. We’ve all met someone who reminds us of the bloke being ripped to shreds in Brianstorm, We’ve all had that post argument regret portrayed in Do Me A Favour and we’ve all at one time or another reminisced about our Fluorescent Adolescent times. Remember when Nu Rave was a thing? Remember when you couldn’t go into a clothing store without seeing bright yellow or red jeans, a lime green snoopy t-shirt to accompany chequered belts and white trilby hats. We really did think it was the future but looking back I’m pretty sure these are the pictures that’ll be bought up at my wedding. Skins had just come out on Channel 4 and British teenagers across the isles tried to rave as best they could on whatever they could find in their parents drinks cabinet. Ahhhh 2007 you were a strange time. These are the sorts of memories I associate with Myths Of the Near Future. The album itself is actually quite good, it certainly hasn’t aged well and truly speaks of times gone past but I personally still get excited when I hear the opening to Golden Skans or Gravity’s Rainbow. Commercially the album was an overriding success entering the UK charts at number 2 and earning Klaxons the 2007 Mercury Prize and NME’s album of the year and it’s easy to see why. At the time the album was innovative, it was fresh, it was something incredibly new. My attempts to try and replicate the intro of Atlantis To Interzone became the scourge of my music teacher’s life. Originally conceived as a concept album about the band’s psychedelic vision of the future, Myths Of The Near Future was supposed to be the first in a trilogy of records, the other 2 documenting the present and the past. The problem with Klaxons is that they really did capture lightning in a bottle at the time. They found a gap in the market and were forerunners in creating a scene, one that would ultimately burn out in few years as can be seen by the very mixed and ultimately disappointing 2010 album Surfing The Void. Myths Of The Near Future will rest mainly and forever on the waves of nostalgia. What can be said about The Pigeon Detectives 10 years on from their multi-platinum selling debut album Wait For Me that hasn’t already been said? The definition of landfill indie with a festival twist each song was made for chanting with your mates after a few cans of warm Carling in some mud-pit field. Wait For Me draws influence from bands such as Kaiser Chiefs with whom the band toured with whilst recording the album at Soundworks studios in Leeds in late 2006. Post release on 28th May 2007, the album skyrocketed to number 3 in the UK charts with impressive initial sales. Singles from the album did reasonably well all ending up in the UK top 40 with I’m Not Sorry peaking at number 12. The issue is however is that a decade after release I couldn’t name you a single song until the one catchy line from the chorus kicks in. There was a time and a place for The Pigeon Detectives and very clearly that time was in the previous decade. And so my brief visit back to 2007 is complete. There were some good, some bad, and some ugly but very little forgotten. The lasting legacy of this year however is so apparent and shouldn’t be forgotten. 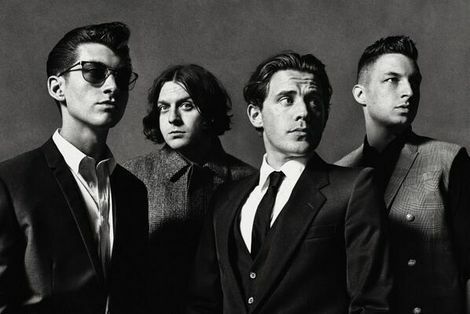 Arctic Monkeys are now one of the biggest British bands globally in the past 15 years going on from strength to strength. Although some have fallen by the wayside, we must remember the impact they had, good or bad, as they pushed this music scene to its peak. 2007 felt like the turning point for the “landfill Indie” plague of the mid 2000s. 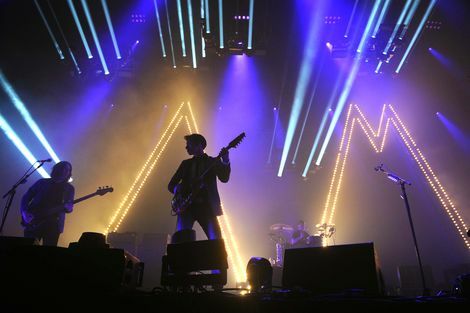 Arctic Monkeys and The Cribs evolved their sounds after their 2007 releases. 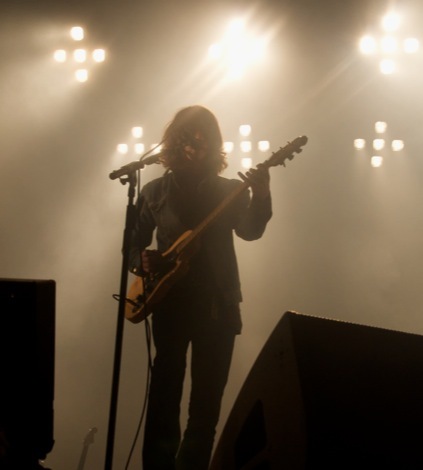 Arctic Monkeys went onto produce the polarising Humbug in 2009 that introduced the bands darker more metaphorical new sound. The Cribs went on to team up with former guitarist of The Smiths, Johnny Marr, for another 2009 release Ignore The Ignorant that again bought about a different style to previous albums, more melodically driven. Those that didn’t survive seemed unable to adapt their sound for a changing landscape, technologically, culturally and musically. For me personally this year holds a greater meaning, as I progressed through my teens and into my 20s in this past decade and those around me start doing ‘adult’ things such as having kids and getting mortgages, I still get a nostalgic tingle every time shuffle throws up one of these albums. Even if some of these albums nowadays have to be taken with a pinch of salt I still remember how 2007 was the year I started to develop my own taste in music, something that has now led me onto so many things. If you, like me, want to party again like it’s 2007 then be sure to pick up tickets for The Cribs Men’s needs, Women’s needs, whatever 10th anniversary tour.